Every romance reader I know has a To Be Read pile. It might be a tower of books on her bedside table or a list of eBooks on her reading device. Some readers approach their TBR pile with a complex system while others will just reach for the book on top of the stack. What’s your reaction when you see your TBR pile? Is it anticipation? Or are you overwhelmed by the sight of too many books? A TBR pile should be a source of comfort because it shows there’s a wealth of entertainment waiting just for you. Sometimes that stack of book grows at an alarming rate. You tell yourself that you won’t buy any more books until you make a dent in your TBR pile but you just can’t resist the latest book from your favorite author. You follow reading challenges in hopes of downsizing your TBR, and instead you’re enticed by the books other romance readers in the challenge are discussing. If you have owned the book for over a year and you still haven’t opened it, it’s time to donate or delete it. I know this is a tough guideline. You spent money on the book—or better yet, you got it for free. You heard great things about the author or the book and you still plan on reading it. But what has prevented you from reading the book last year and has the situation changed? Why do you continually choose a different book over this one? Let’s face the facts: if you were really interested in the book, if the word-of-mouth was strong enough, you would have read it already. Do yourself a favor and donate the book to your public library, thrift store or charity. Delete the eBook or, at the very least, remove it from your reading device. When do you read? Do you have a routine, such as before you go to sleep or during your commute to and from work? Or do you read a chapter whenever you have unexpected free time? If you haven’t decided when to read, do it now. While some readers are in the habit of skimming through a couple of pages before they go to sleep, it’s probably best to refrain from choosing a time when you just want to go to bed. Pick a time of day when you know you can give attention to the book or when your energy needs to be restored. Your reading time doesn’t have to be every day and you don’t have to plan to read for hours in one sitting. While that kind of routine sounds like a reader’s fantasy, it’s just not practical. In order to get through your TBR pile, you just need to be consistent. Life is too short to read a boring book. Don’t spend time on a book you don’t like when you have books on your TBR pile that show more promise. Instead of having the mindset that you will read the entire book, decide to read the first three chapters or the first fifty pages. This is something editors and agents do in the publishing world. They will read the first three chapters of a manuscript (sometimes even less than that!) and decide if they want to see more. They can usually tell a lot about the author’s voice, technique and talent within the first fifty pages. A discerning reader can do the same. Three chapters should give you enough information on the author’s writing style. You’ll know if you want to invest more time reading about these characters. If the first three chapters are agony or if they can’t hold your interest, chances are the story is not going to get better. Accept that the book isn’t going to be right for you. Donate or delete and move to the next book on your TBR. 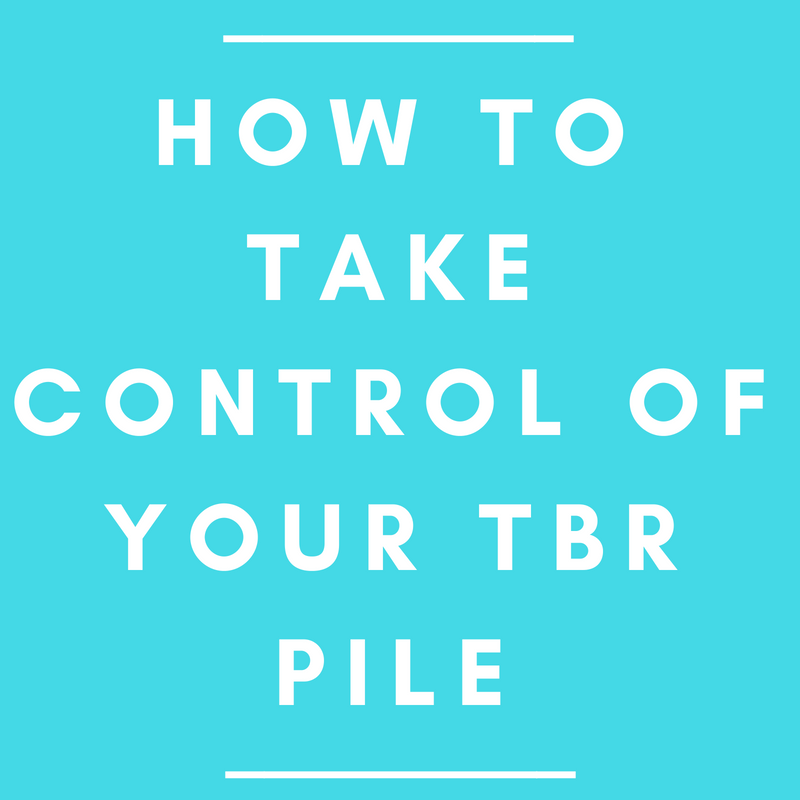 Follow these three tips and your TBR pile will become manageable again! What other steps do you take to keep your stack of books under control?